Our sincere desire at the Inn is to inspire a love of nature. It’s everyone’s responsibility to be good stewards of our home here on earth. And, we believe that if we all work together to protect Georgia’s natural resources, we can also enjoy them together — for many years to come. People don’t necessarily come here for an education in nature and conservation, but we try to make sure they leave with one. We believe you can learn at every age and that nature is the greatest teacher. Just look around the woods and you’re sure to find beauty and wonder. But you will also find interconnectedness and resilience. In nature there is no waste. Resources are made, used and then returned to where they came from — to start another cycle. If we followed the ways of nature, there would be neither shortages — or scarcity. Rather, there would always be abundance. The hike to the Inn is an awesome opportunity to explore nature on your own. Observing the plants, flowers, animals, and rock formations you encounter along the way will fill your head with questions — that hopefully we can answer during your stay. Every afternoon before dinner, we give a facility tour. This is where you can see that we practice what we preach; by modeling good conservation habits and behaviors. Everything from using renewable energy sources to rainwater collection to composting. Even simple things like eating everything on your plate, so you don’t waste food or adhering to our “pack-it-in, pack-it-out policy". Join us at 5:00p.m. and learn about our exciting new solar initiative "Above the Grid". After dinner,we host educational programs. Programs range from nature talks about native plants, birds, butterflies and reptiles to nature photography and outdoor adventures from both far away and familiar places. We also share interesting lessons in backpacking essentials, leave-no-trace principles, Appalachian Trail history and even local history — like the Dahlonega Gold Rush. The Outside School program provides experiential learning in a wilderness setting without the logistics of backpacking, as well as demonstrates conservation through environmental design and practices. 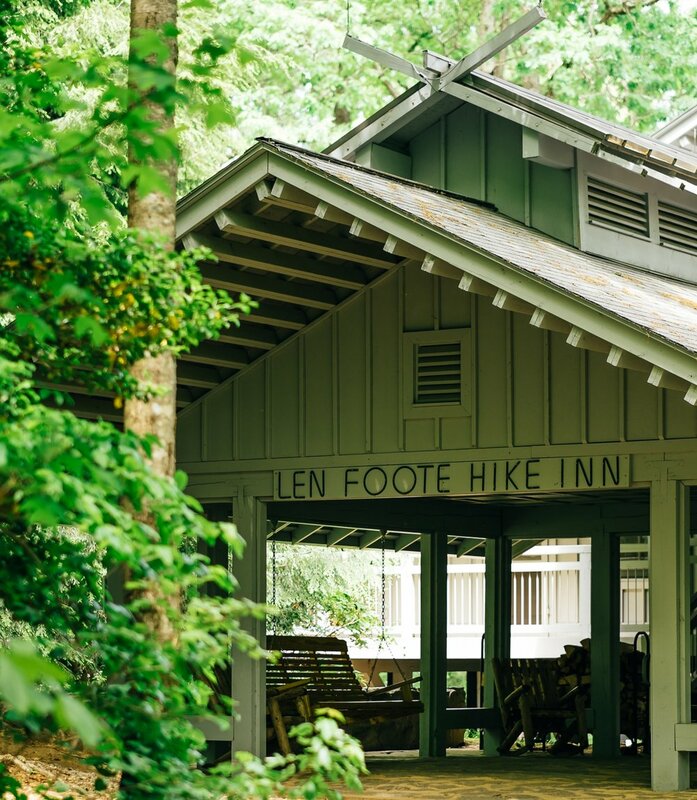 We offer discovery and connections in outdoor recreation, forest ecology and Leave No Trace principles - on the hike to the Inn — as well as instructional programs. At the Inn, we educate students on what they can do to conserve and lower their carbon footprint and environmental impact through sustainability practices such as solar energy, composting toilets, native gardens, rain water catchment, reducing food waste and composting with vermiculture. More formal curriculum may focus on school related subjects in Earth and Environmental Sciences. Our goal is to get more kids outside, engage and inspire them to be good stewards of natural resources, and hopefully foster a lifelong appreciation and deep relationship with nature. We truly believe hiking or simply being outside is a fun path to a healthy life. Study after study reinforces the idea that exposure to nature promotes strong physical, mental and emotional well-being, improves self-esteem, and assists with discovering a vital sense of self and place. Through partnerships with passionate educators and dedicated organizations, grants and individual donations, we are able to serve an average of 300 students a year. If you are interested in being an education partner or bringing your students to the Hike Inn, please contact staff at education@hike-inn.com. Read more about some of the many rewarding Outside School experiences in 2018 here. 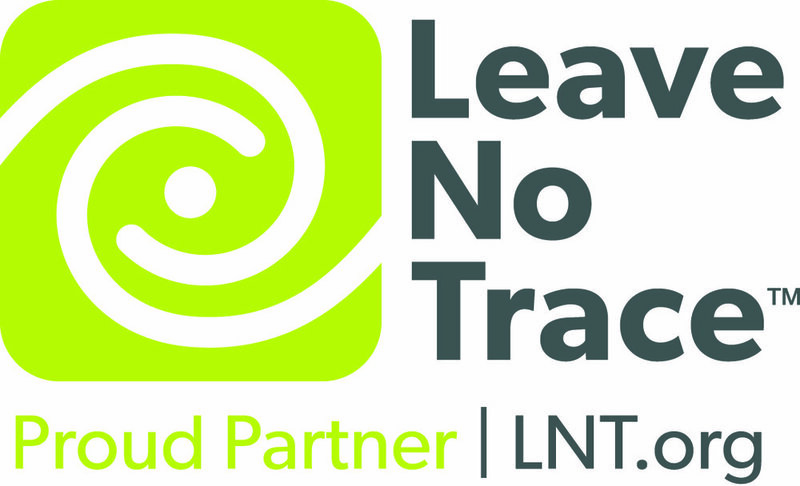 The Leave No Trace principles are simple but important: leave the places you visit outdoors the same, or better, than you left them. You can help us to be a bridge for students to find their passion for hiking, the outdoors and conservation. We are a non-profit organization and generous donors and their donations make this all possible — for all of our children.